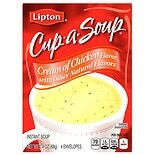 $199$1 and 99 cents$0.83 / oz. 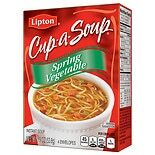 Shop Lipton Cup-A-Soup Instant Soup Mix Spring Vegetable (1.9 oz. )1.9 oz. $199$1 and 99 cents$1.04 / oz.